The Los Angeles Lakers are having a pretty solid season so far thanks to the addition of LeBron James. Although it seems as though the team is having a mid-season injury crisis. On Christmas Day, James went out with a groin injury and is expected to miss several games. James isn't the only one who will be out for a while though. Rajon Rondo is now expected to miss close to a month of action, according to ESPN. 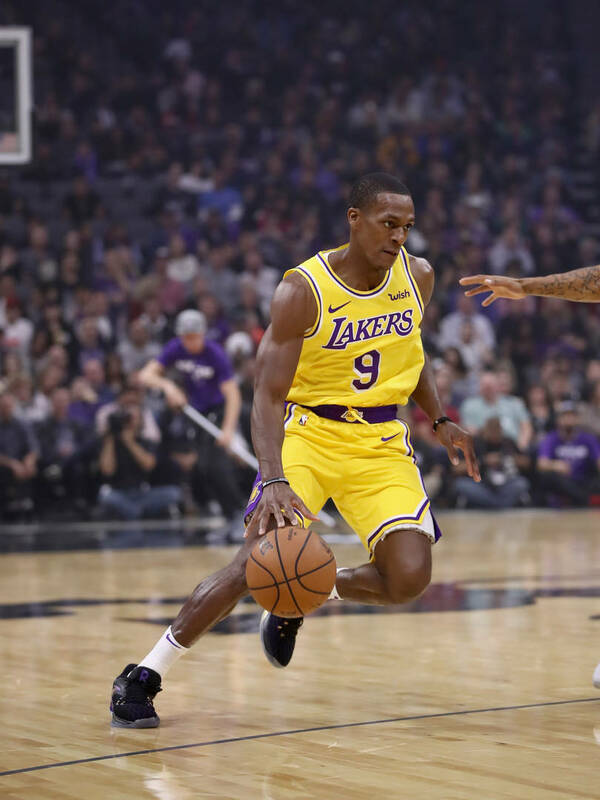 Rondo injured a finger on his right hand during the Lakers game against the Golden State Warriors Tuesday. This is the second time Rondo has injured his shooting hand this season and will require surgery which is what will make him unable to play. The Lakers point guard had surgery on the same hand earlier in the season and had missed 17 games because of it. He had just returned to action on December 21st. It will be a rough go for the Lakers without LeBron and Rondo. Last night was the team's first game without LeBron all season. The Lakers ended up losing the game against the Sacramento Kings by a score of 117-116. With Rondo on the sidelines, Lonzo Ball will be the Lakers starting point guard for the near future.